Josh started as a customer and ended up as an employee. He mainly focuses on managing the website, promotional events and marketing. 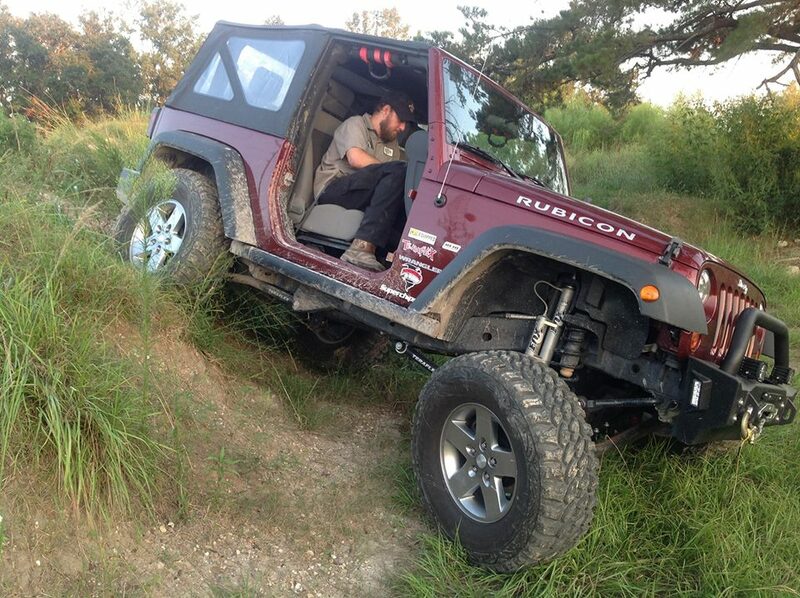 Josh comes from a retail background but has been into jeeps since he got his 94' YJ from his brother when he was in college. When Josh's wheeling buddy (daughter) was born the YJ was no longer practical. It was only a matter of time before he ended up in a 98' xj, which was short lived and he soon found himself a 4 cylinder X-Terra for a couple of years. ...but not for long! About 10 months after getting rid of the JK Josh got the bug again. One day, when test driving sports cars, he saw a hideous yellow 06' LJ on the used car lot at a local dealership. He decided to test drive it just for kicks and about six hours later he was driving it home. Josh spent a lot of time and local business support (money) building up the LJ so that he could take his daughter out for some great wheeling trips. It's important to note that this is the point where Josh became good friends with the guys at Searchers...which would lead to his eventual employment. Ole' Yeller ended up with the following upgrades. Rubicon Express Extreme Duty 4.5"
Shortly after the CJ project ended, Josh found himself in a position to retire from the retail world and start up here at Searchers. Feeling the need to help with providing a Searchers JK (or maybe it was time for another project) Josh volunteered to get a JKR. Josh just picked up this 2010 and it is well on it's way to being Searchers approved. Listed below is where it sits today with more to come.